September has arrived—can’t really even believe that summer is officially over. Hard to think too much about fall considering it is 100 degrees in Los Angeles this week. But then in the mail box all the fall issues arrive. I do feel sorry for our mail people having to deliver these issues considering they all come at the same time. But now I feel sorry for me, I think I have about 3,000 pages to go thru. 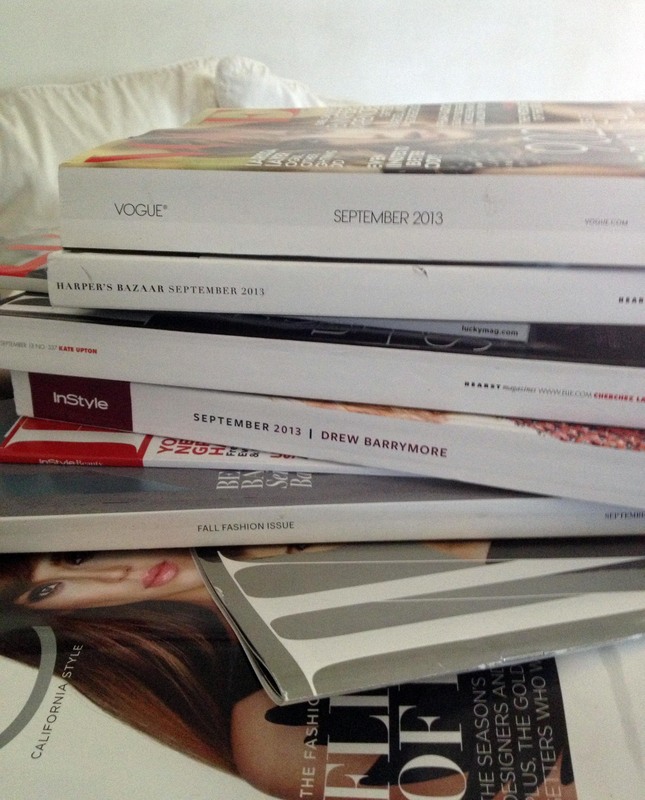 The Vogue alone is 906 pages. Look forward to it all but I better hurry, October’s issues will start to arrive in a week. In all the Covers was happy to see Jennifer Lawrence on the cover of Vogue and Jessica Alba on the cover of C magazine, and Blake Lively on the cover of Lucky, the others even though they are fashion icons just feeling like we have been there before.